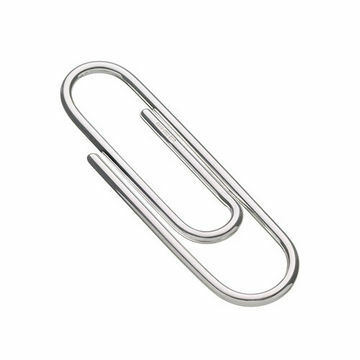 Imagine a completely normal paper clip. How many ideas can you generate for what else it can be used for? You have 2 minutes. Go. This exercise is one of the classic creativity tests to determine how skilled you are at brainstorming. The more ideas, the better. But how innovative are your ideas? There is a very clear connection between the time you use to find ideas and the quality of them. So how do you make the most of the time you’ve been given? First, empty your mind of the ideas that you know about – they naturally come first. Now you have the space to think in a more lateral and untraditional way. If you use another two minutes on the above test, how many more ideas can you generate? What separates the last list from the first? In the 60’s, many creative theories tested the connection between time and the quality of ideas. The results of the tests were not surprising. To generate good ideas, it takes time. This can be extra minutes, hours, or days. Enter the “good enough” culture. It’s about making do with the ideas that come first. This is usually masked in ideas that we already know about. Traditional, safe ideas. We don’t take the time to invest in the more creative, new thought out ideas. We rush to move on. As long as it fulfills the minimum requirements, or is the first idea to generate unanimous approval, then it is obviously good enough. Time is up. Next! In my posting about What is Great Design, Alan Cooper states that first-to-market is no match for best-to-market. Innovation and new thinking is crucial in today’s tough competitive environment. The challenge today concerns time and courage. Courage to focus on more than just performance and results. Courage to deviate from the norm. Courage to actually invest the right amount of time required to elevate to the next level. Courage to be better than just good enough.